Very Positive (63) - 88% of the 63 user reviews in the last 30 days are positive. Very Positive (489) - 80% of the 489 user reviews for this game are positive. Here is some feature that was added after our release. Now you can choose characters skin color. In generated dungeons, you can find one new deadly monster. In co-op, you can play basket-bomb with your friends. We have fixed many bugs and have improved many game aspects, like UI, quests, performance, controls. Also, we have added the "Report" button in the pause of the game. So, you can send us your problem directly! And of course, we continue to work on! 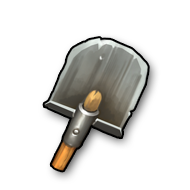 Upgrade to the latest version 1.0.5 and take good care of your shovel! After two years of Early Access, we have released version 1.0.0! On this important day, we want to thank all the Hunters who believed, played, criticized and stayed with us. And most importantly - this is just the beginning! Ahead you will find a lot of interesting things in the world of Quest Hunter! Upgrade to the latest version 1.0.0 and take good care of your shovel! © 2 Zombie Games 2019. All Rights Reserved.